Rev. Gabriel Martin was born in Mount Clemens Michigan on December 12, 1978 to Jerry and Peggy Martin. Gabriel is the third of five children with two older brothers, Jake and Ben, and two younger siblings Tim and Kelley. Gabriel went to L’Anse Cruse North public schools in Macomb County and graduated in 1997. 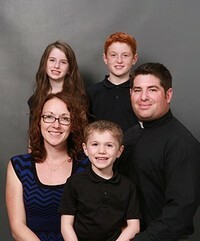 Gabriel and his wife Tina were married in the fall of 2002 and have been blessed with three children; Luke, Grace and Matthew. After a fifteen-year career as a carpenter Gabriel went on to attend Concordia University Ann Arbor earning a Bachelor’s degree in 2013. Gabriel received his seminary training and Master’s degree from Concordia Theological Seminary in Fort Wayne Indiana. 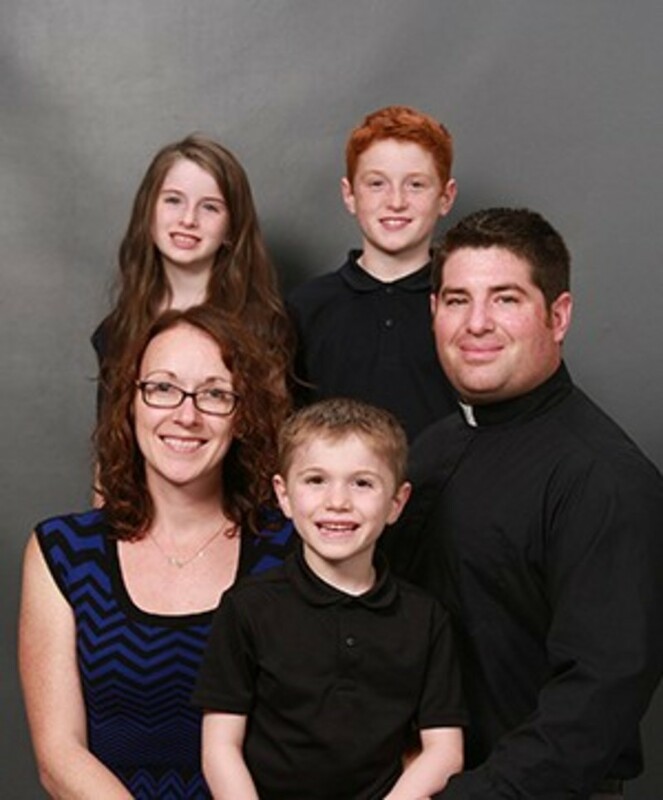 During his seminary training Gabriel served his vicarage at Shepherd of the City Lutheran Church Fort Wayne Indiana from 2015-2016 and graduated in the spring of 2017. After graduation Gabriel accepted his call to serve at Zion Evangelical Lutheran Church in Tawas City, Michigan.